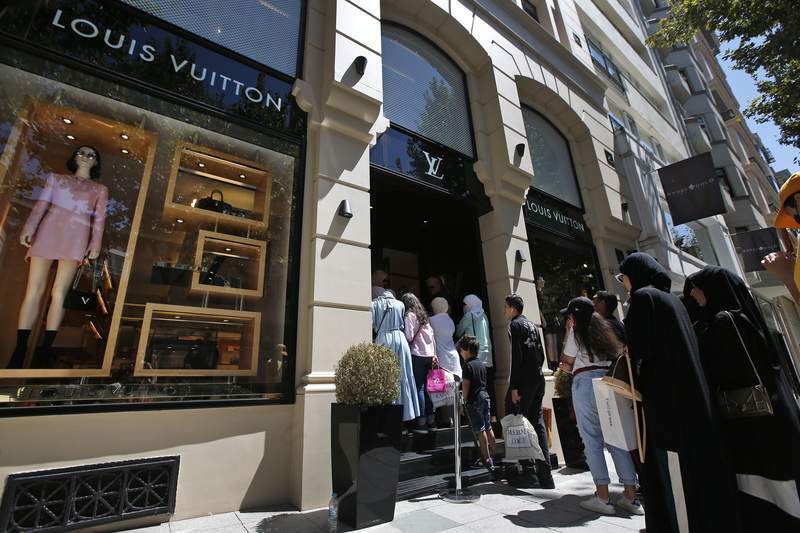 Associated Press Tourists and Turkish people wait outside a luxury store in an upscale neighborhood of Istanbul on Tuesday as the Turkish lira sinks to a record low. U.S. stocks rallied Tuesday as banks, retailers, and smaller companies jumped. That helped the market recover most of its losses from the previous two days. • The S&P 500 index jumped 18.03 points, or 0.6 percent, to 2,839.96. • The Dow Jones Industrial Average picked up 112.22 points, or 0.4 percent, to 25,299.92. • The Nasdaq composite rose 51.19 points, or 0.7 percent, to 7,870.89. • The Russell 2000 index of smaller-company stocks surged 17.26 points, or 1 percent, to 1,692.58. • The S&P 500 is up 166.35 points, or 6.2 percent. • The Dow is up 580.70 points, or 2.3 percent. • The Nasdaq is up 967.50 points, or 14 percent. • The Russell 2000 is up 157.07 points, or 10.2 percent. ANKARA, Turkey – Turkey's president appeared to escalate a dispute with the United States that has helped foment a Turkish currency crisis, claiming Tuesday that his country will boycott U.S.-made electronic goods. Behind the scenes, however, diplomats resumed contact to ease tensions. 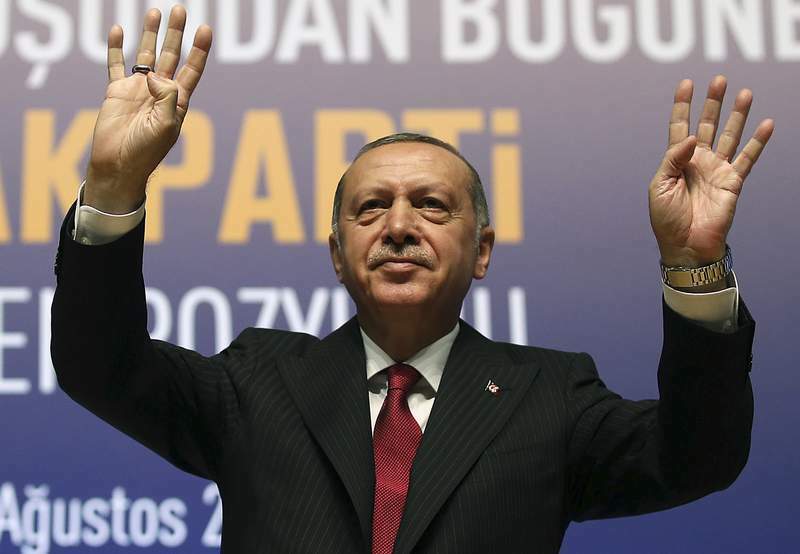 Addressing a conference of his ruling party faithful, Recep Tayyip Erdogan added fuel to the spat with the U.S., even as local business groups called on his government to settle it. “We will implement a boycott against America's electronic goods,” Erdogan told the conference. He suggested Turks would buy local or Korean phones instead of U.S.-made iPhones, though it was unclear how he intended to enforce the boycott.